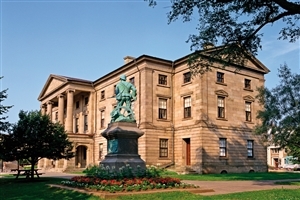 Spend time getting to know the beautiful city of Halifax’s historical treasures. 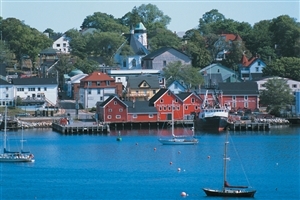 Experience the feel of a British colonial settlement in the village of Lunenburg. 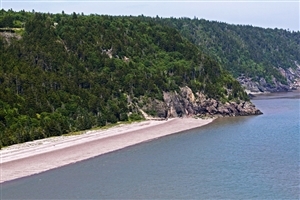 Discover the dramatic coastal bluffs of Prince Edward Island National Park. Catch glimpses of some of the indigenous marine life at the Bay of Fundy. See the amazing coastal scenery of the land en route to the city of Charlottetown. 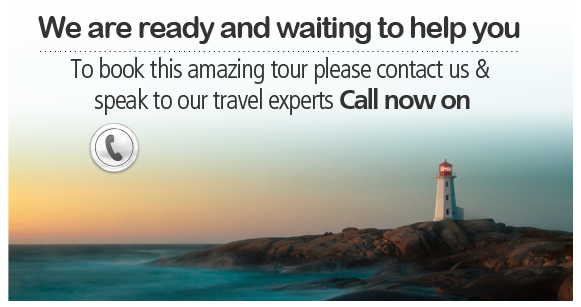 Arrive in the city of Halifax and transfer to your hotel. Attend a welcome reception in the evening at Pier 21, Gateway to Canada, and peruse the 20th Century Canadian Immigration exhibits. Begin your day with an adventure along the rugged Atlantic coast to the fishing village of Lunenburg. This UNESCO World Heritage Site is one of the best surviving examples of a planned British colonial settlement in North America. You have the option to take one of two different sightseeing tours at this point, visit the Fisheries Museum of the Atlantic, or see the villages 8th & 19th Century timber-built houses. Afterwards, visit Mahone Bay and Peggys Cove, another charming fishing town, before returning to Halifax in the evening for leisure time. Spend the day exploring and discovering the highlights of Nova Scotia’s provincial capital city at your own leisure before a private tour and dinner at Halifax’s Citadel National Historic Site. Ride a ferry to the quaint Prince Edward Island. See expanses of lush farmland and beaches as you travel to Charlottetown. Enjoy an evening of leisure, becoming familiarised with the surrounding area or relaxing at your accommodation, just steps from Old Charlottetown’s boardwalk and Peakes Wharf. Spend the morning as you wish in the vibrant city of Charlottetown, then set out to discover the wildlife-rich salt marshes and striking coastal bluffs of Prince Edward Island National Park. Afterwards, visit Green Gables House, the old farmhouse immortalized in the novel Anne of Green Gables. Finish the day with a traditional lobster dinner. 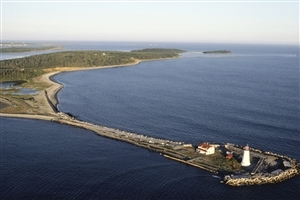 Return to Nova Scotia and choose between a visit to the Fort Anne National Historic Site in the centre of historic Annapolis Royal or visit the Port-Royal National Historic Site and the Habitation, a reconstruction of one of North Americas earliest European settlements. 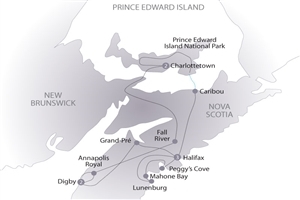 Proceed to Digby and your hotel overlooking the Annapolis Basin and the Bay of Fundy. Begin the day with a presentation by a local expert on wildlife followed by a trip into Digby Neck, a peninsula on the Bay of Fundy with an abundance of wildlife. You may be able to spot finback, humpback, and minke whales as well as seals. Return to your hotel afterwards for a leisurely afternoon and farewell dinner with your fellow travellers. Journey back to the Halifax airport, stopping by the Grand-Pré National Historic Site en route.